Registered to Township of Strathroy-Caradoc. Very early burial records have been lost (in the many town fires) so present day burial records only go back to 1878. 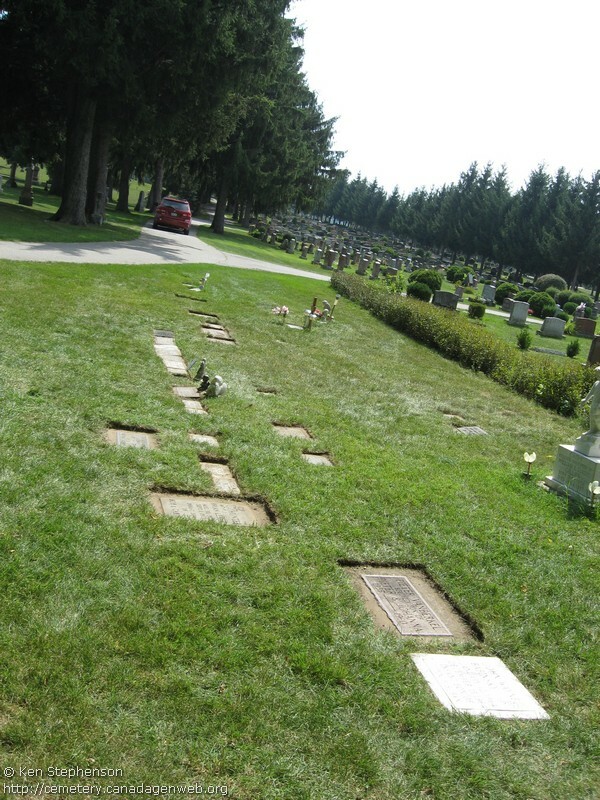 From Ken Stephenson: While 1862 is the date quoted for the start of the cemetery you can find stones in the oldest section (section I) from at least the 1840s so it was being used as a burial ground before it officially became the town cemetery. When Strathroy Cemetery was first divided up in the 1860s a system of Survey / Lot & grave was used (you still find this in the burial records which go back to 1878). But when the O.G.S recorded all the monument inscriptions in 1983 they came up with their own way dividing the cemetery into Section / Row & Plot. This Section division was used when photographing the cemetery. 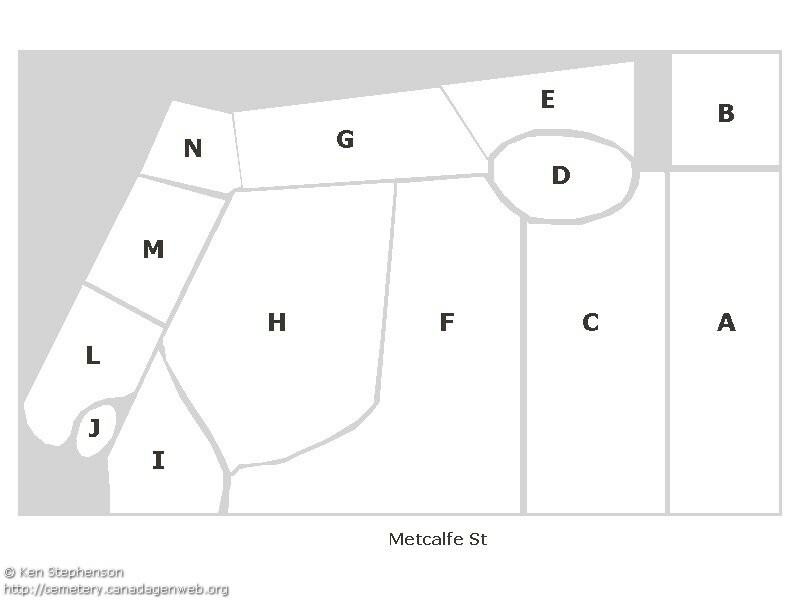 Sections B, D, E, G, M & N have been photographed, the remaining sections have not. At the very back of Section B is a large stone that reads 'MIDDLESEX COUNTY HOME' and around it are 17 small (flat with the ground) stones for people who have died at this home and had not a family plot for burial.